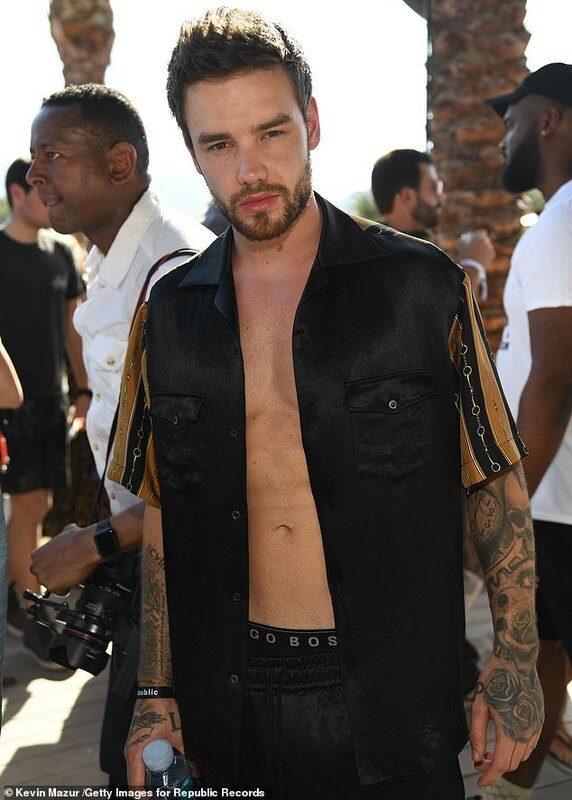 But Liam Payne wasn’t short of well known admirers on Sunday, shortly after being seen with a mystery female companion at the Coachella Music and Arts Festival in rural California. 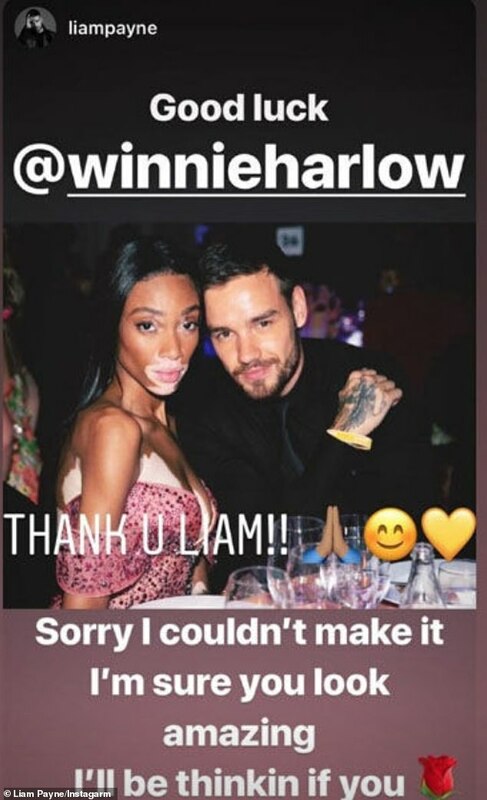 The One Direction star, 25, won an affirmative like from Canadian model Winnie Harlow after sharing a snap of his shirtless torso with followers on Instagram. Revealing a nicely defined chest and chiseled abdominal muscles, Liam appeared to be in great shape during what amounted to his first public appearance since the reported split with Naomi. And among the thousands of complimentary posts about his athletic physique, close friend Winnie’s affirmation stood out. 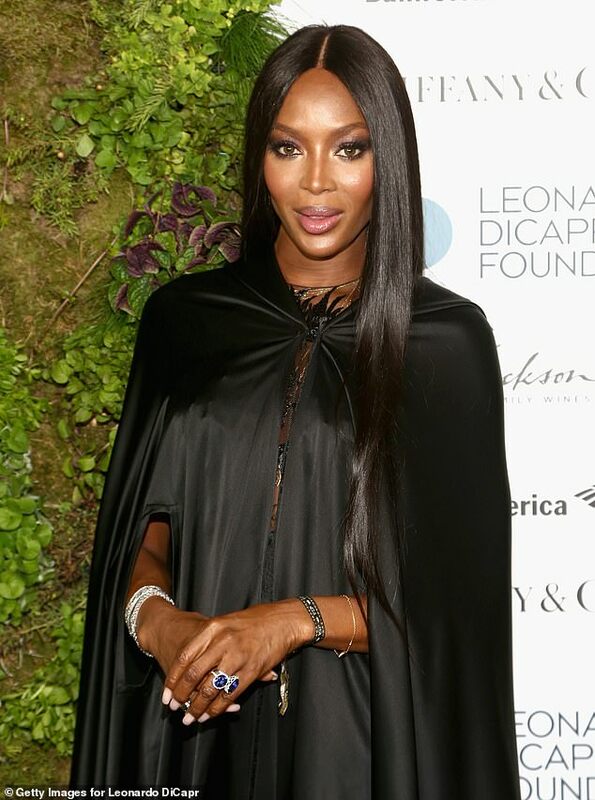 The response comes shortly after the pair presented an award together at the BRITs in February, and five months after Liam wished Winnie luck as she prepared to make her catwalk debut with Victoria’s Secret. Shortly after sharing his latest post, Liam was seen making his way into a private area of the Coachella site with a female companion. Dressed for the occasion in a pair of loose fitting shorts, white T-shirt and matching trainers, Liam led the way as the pair made their way inside. With his numerous tattoos on full display, the Bedroom Floor singer was easy to spot among the event’s thousands of revelers. Walking close behind, his female friend caught the eye in a black leather jacket, beneath which a matching bra top was evident. Since then the pair were believed to be having a ‘mind-blowing’ time together in London and New York, all while commenting on each other’s social media posts with flirty exchanges. Away from his his music career, Liam is a devoted father to his two-year-old son Bear who he shares with former partner Cheryl, 35, following their split in July 2018. Cheeky: The pair were believed to be having a ‘mind-blowing’ time together in London and New York, all while commenting on each other’s social media posts with flirty exchanges.